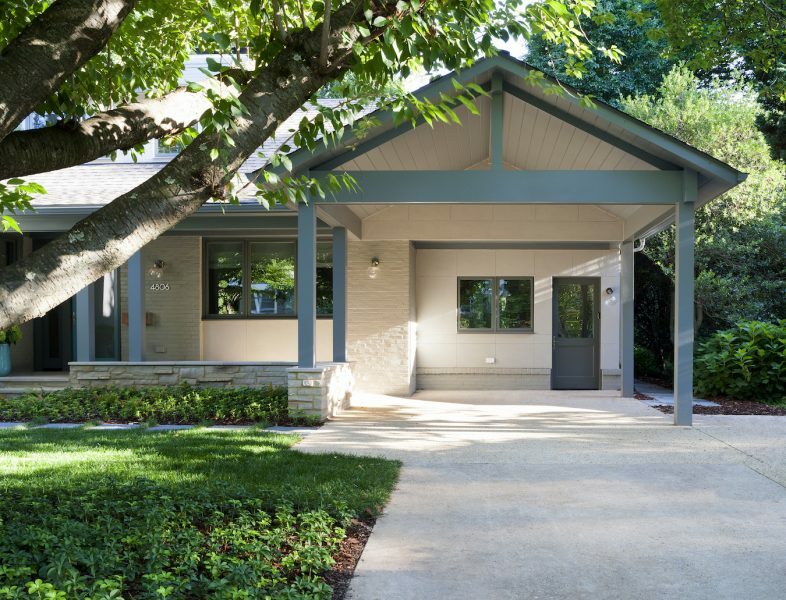 Roomhints compiled this comprehensive guide to designing a handicap accessible home, featuring a wheelchair accessible home by interior designer Christie Leu. Check out these handicap accessible hints below and comment what you think! * This is another great space saving appliance that benefits everyone in the house. This offers two ovens in the space of a single range. The top oven replaces a toaster oven to clear the counter. It is accessible to a wheelchair user more easily than its countertop cousin. 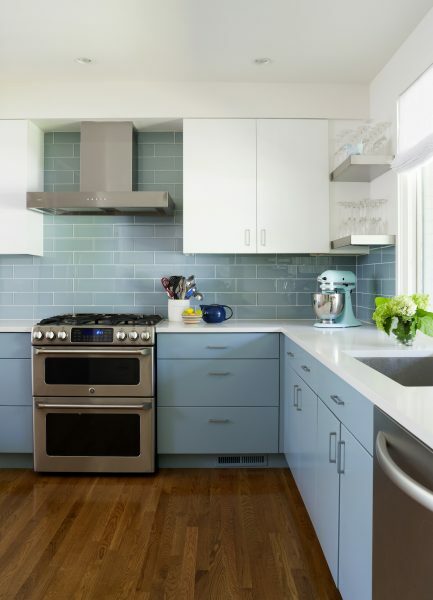 * Two ovens in place of one may decrease the size of the main oven but I believe the second oven replaces a storage drawer on a single oven range, so the space for cooking is similar. * This countertop saving appliance means more space either on your countertop or in your upper cabinets. It leaves your sight line clear for more beautiful focal points in the kitchen and brings cooking down for accessible wheelchair use. Push a button and the drawer rolls out smoothly. * There really isn’t a downside to this! * I like the Delta pull-down faucets for two reasons besides great looks and good value. First, the magnetic catch on the pullout has no mechanical parts to break. Second, the Touch20 technology is useful to all users. * There is a little learning curve to know where to touch the faucet to turn it on and how to avoid triggering it accidentally. Everyone has their own needs and wants in their vision of the perfect, dream home. For some, it’s a vast kitchen island. An entertainment room. A master bath. For others, however, the ideal home is one that can accommodate the needs of a wheelchair user. For everyone, the perfect home is one that fits perfectly with your family’s unique lifestyle. When designing a handicap accessible home, every detail matters. Narrow hallways, out of reach appliances, cabinetry, and vital storage, and flights of stairs can make entire parts of the house unusable and can make daily life a challenge. Here are our top 7 tips for designing a handicap accessible home. This is probably a no-brainer, but wide hallways and doorways are a must in order for a wheelchair user to get from one part of the house to another. You want to make sure that there is plenty of room for a wheelchair user to get through a corridor without feeling claustrophobic! Ideally, to make a home truly handicap accessible, it is important to incorporate this vision in both the construction and design phase. 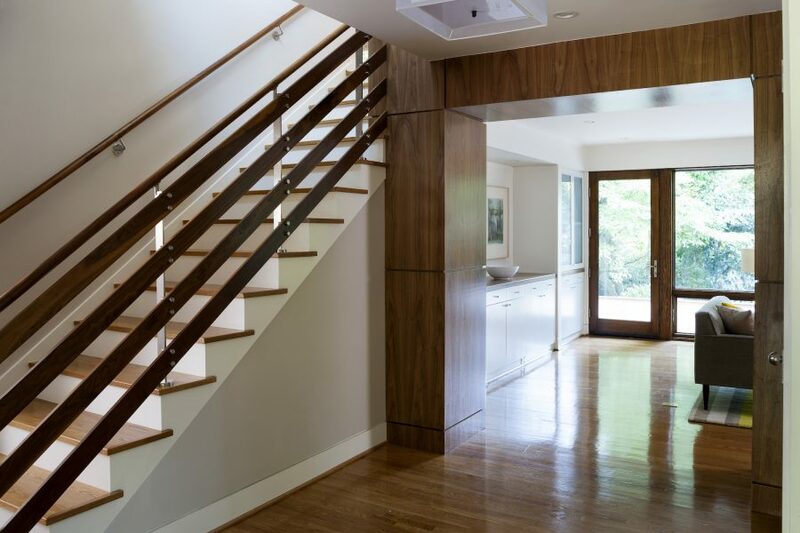 While the interior designer can arrange the design to maximize flow and pick design pieces that are handicap accessible, this task of making a handicap accessible home is best aided when the construction of the home allows for this. Since bathrooms are private spaces that are used frequently, you want to ensure that the wheelchair user can use the bathrooms independently and without risk of injury. 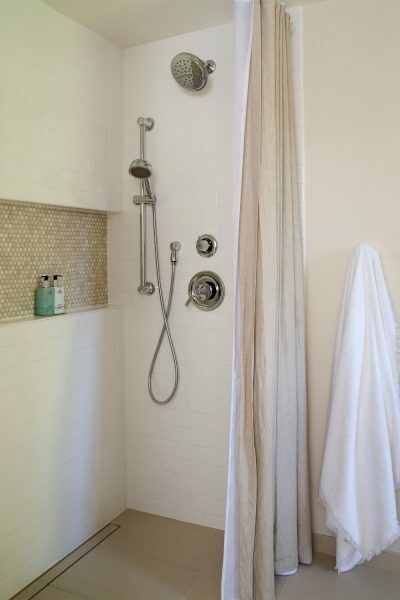 Incorporate grab bars, roll-in showers, shower benches, walk in tubs, and non-slip floor materials. Make sure that the bathroom is large enough for the wheelchair to swivel around. In order to make sure that everything is accessible, everything from light switches, countertops, sinks, and cabinetry needs to be lowered. Make sure that you incorporate knee space underneath countertops because a lowered countertop is still unusable if there is no knee space! For higher cabinetry, store items that aren’t frequently used. Smart home devices are becoming widely popular, for good reason. Although they are a fun “want-not-need” item for many, for those with limited mobility a smart home device can vastly improve one’s quality of life. Lighting, kitchen appliances, thermostats, electrical plugs, and security systems that can be accessed and activated by your voice or smart phone can make one’s daily routines much easier and simpler. People tend to overlook this benefit of smart home technology! Plus, Google smart home and Alexa smart home technology are now both extremely functional and widely accessible. 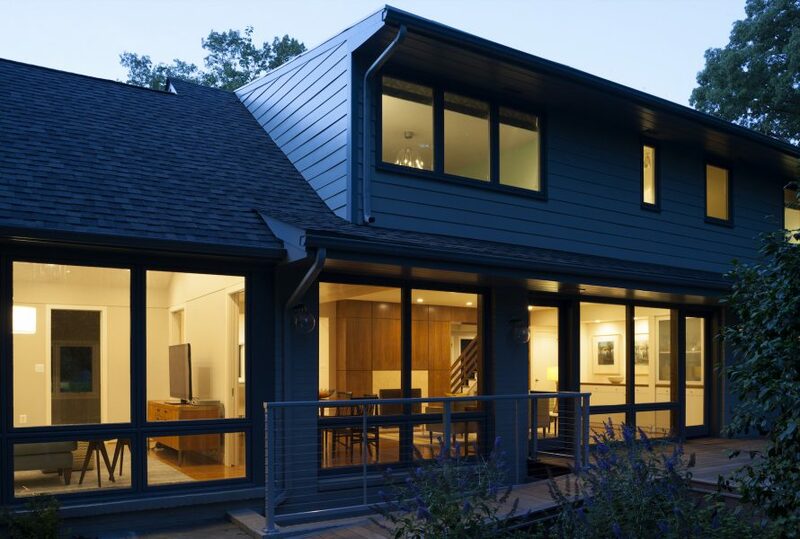 When designing your home, be sure to keep in mind mobility and flow. Pick furniture that is easy to get around, and make sure there is room for a wheelchair to swivel around. One of the biggest challenges for a wheelchair user is probably steps and stairs in the home. When possible, eliminate stairs and incorporate ramps and rails. This is crucial for mobility. Again, this is something that is most easily accomplished when you work with both the architect and the designer when creating your perfect home! Is it possible to make a handicap accessible home functional AND aesthetically pleasing? When designing a handicap accessible home, space is one of the most important factors. 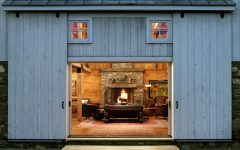 For this very reason, it is completely possible to design a home that feels large, open, and comfortable. The parts of your home that you design for maximum mobility and flow will benefit everyone in the home! Think open hallways, large baths, and comfortable living rooms. 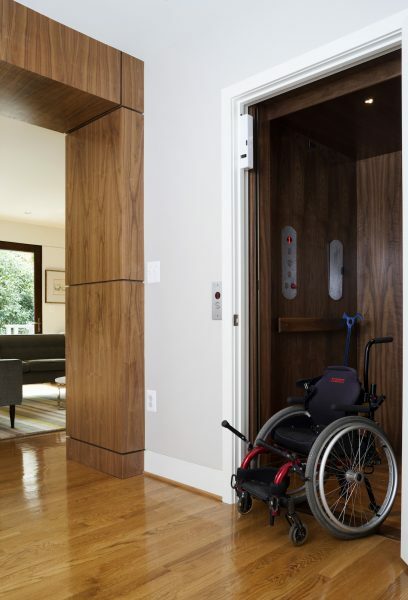 Many handicap accessible homes also have innovative, thoughtful features that are customized to the wheelchair user’s specific needs, but also make everyone’s lives a lot more seamless. 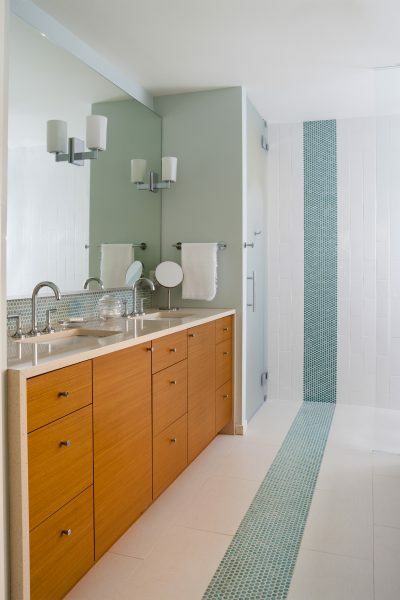 Lastly, because designing a handicap accessible home is all about maximizing space, the design process is all about incorporating clean lines and design elements that are both trendy and universal. When designing a handicap accessible home, attention to detail is that much more important! 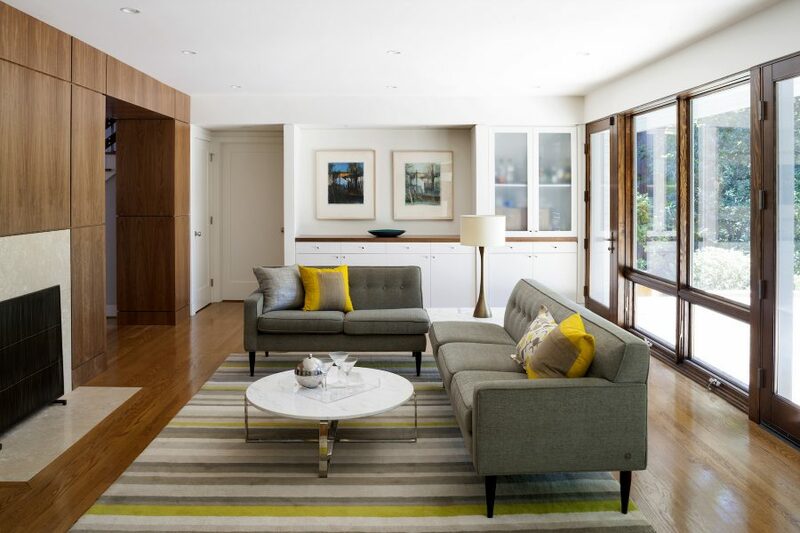 In this universally modern home, the busy family of five wanted to improve their modest 1950’s home without changing its size or footprint. 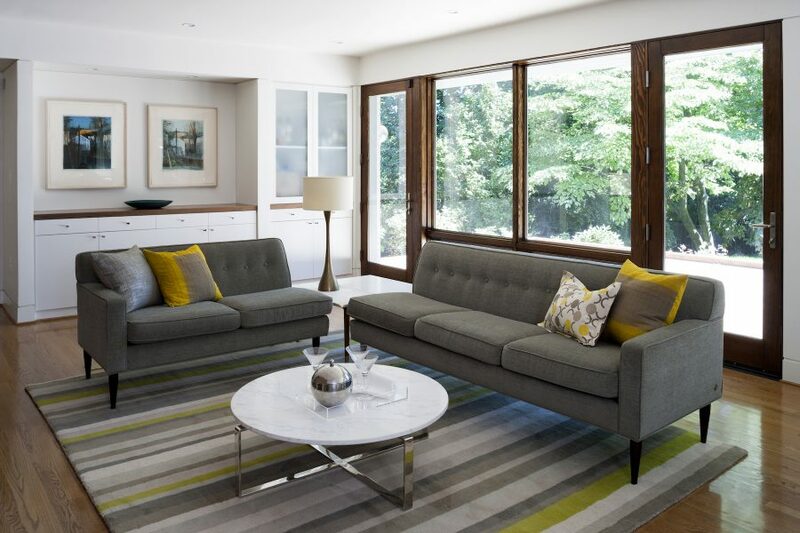 The inspiration for this project thus came from the good bones of this fifties home. 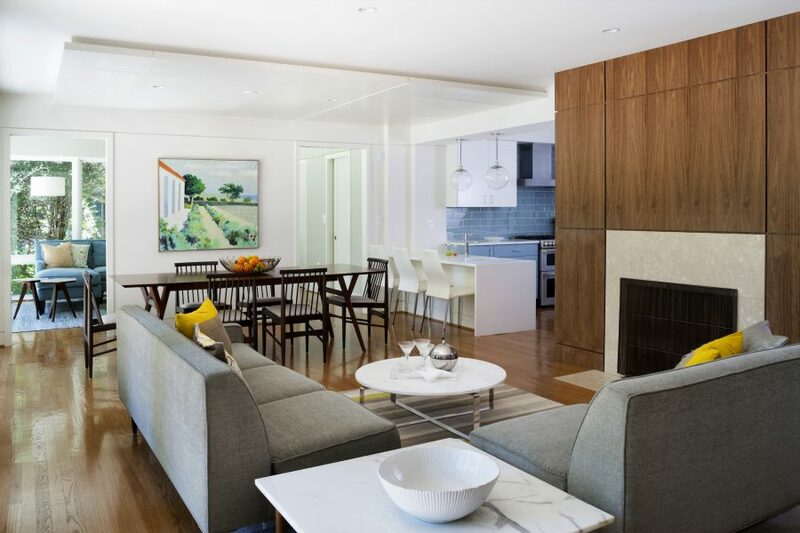 The clients’ son was born with spina bifida so interior designer Christie Leu and the architects that she worked with on this home made the entire home wheelchair-accessible while still keeping the beauty of a modern space. The client wanted a home where their son could grow up in a wheelchair and still participate in every activity of family life: sleepovers upstairs with his sisters, cooking, and eventually teen parties in the basement recreation room. The house now has gorgeous walnut architectural features and a wonderful open floor plan with all the functions that a family needs. The family recognized that this house was perfect for their goal of an entirely wheelchair-friendly house. It had a very horizontal floor plan, main-floor bedrooms, a fairly flat lot, and there was not a steep incline into the house. It had a large foyer and well-placed fireplace and stairwell which attracted the homeowners to the house. This allowed for an elevator without changing the floor plan too drastically or expensively. 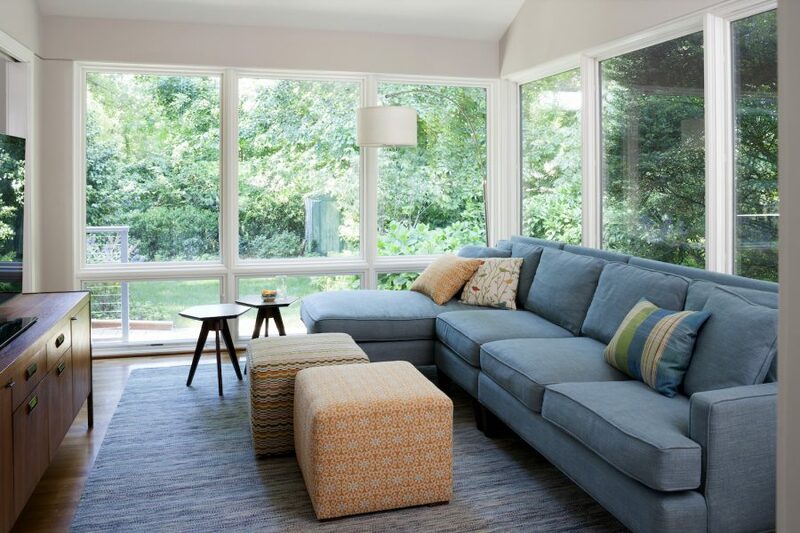 By maintaining the footprint, we also kept a lovely backyard which acts like an extension to the living and sunroom with expansive floor to ceiling picture windows. The architects at Hamilton Snowber did everything so that every member of the family could use the whole house. Johnny can use the kitchen with a lower sink and workspace next to a standard height countertop for mom and dad. When his sisters invite him for a sleepover on the second floor, he will be there! He can roll into all 3 showers and can reach the basement via the walnut-paneled elevator to watch movies with friends or play shuffleboard. All door sills were eliminated for rolling wheels. 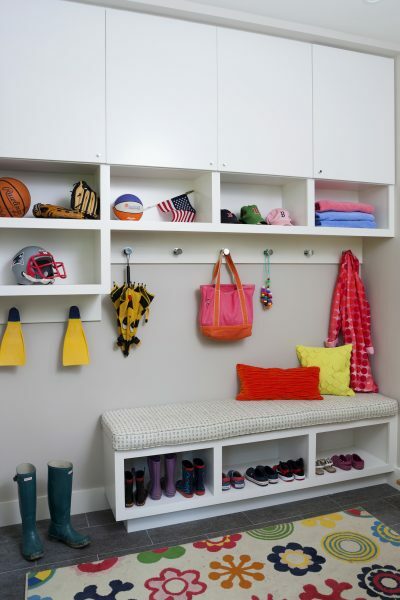 The carport is accessible to the new mudroom and features a lift to the sunroom. The walnut-paneled fireplace wall divides the house and creates a beautiful focal point in both the foyer and the living room. This was the brainchild of Mike Rouse and Cris Snowber, the project architects. 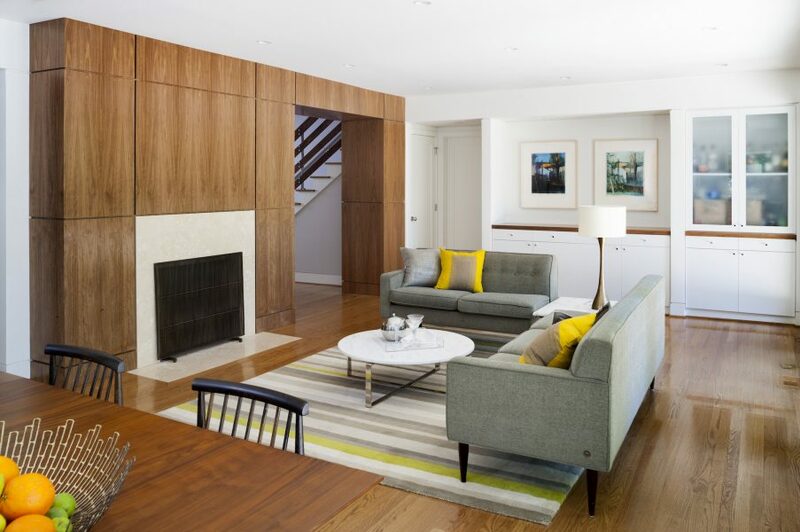 Together with the homeowners, we selected the finishes for the wall, the fireplace, and the stairwell that joins it. This is the element that connects all the others. 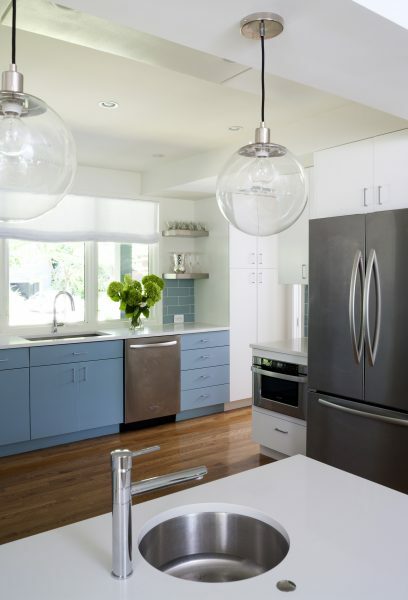 Everyone loves the blue and white kitchen! 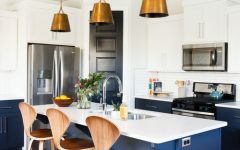 There is a table height (30″ H) peninsula that gives the room seating and an interesting variety of heights that conventional kitchens don’t have. 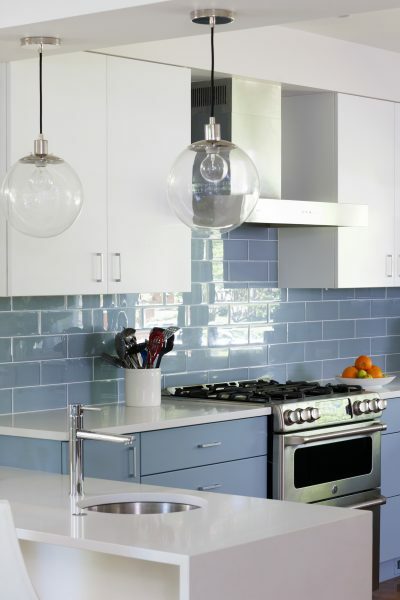 The soothing blue lower cabinets and tile keep the white slab midcentury style doors from looking too simple. 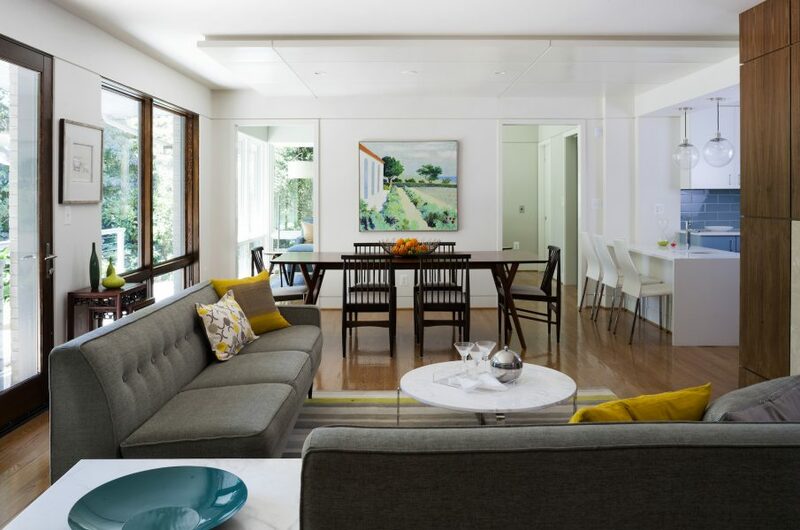 Opening the wall between the kitchen and dining room created a “great-room” feel. Fewer walls added to the flow of the house. Without walls, it’s also easier for a wheelchair to move about freely. In the kitchen, we were really thoughtful with the appliances that are in frequent use — the sink, the microwave, and the oven. We opted for appliances with innovative features that make life a lot easier. 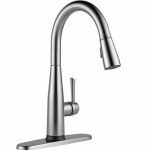 Starting with the sink, the faucet has great sensory technology that is responsive, reliable, and precise, and makes your time in the kitchen that much more seamless. Think of how sensory capabilities on the smartphone vastly improved your user experience in ways that you probably underestimated — once you realize how easy it is to turn your faucet on and off with a simple tap, you’ll never want to go back! The touch feature is nice for mom and dad when they’re prepping dinner in the kitchen and have their hands full, but more importantly, it makes use a lot easier for someone who may have more limited mobility. 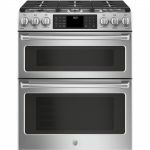 This oven is a cooking powerhouse that is built with features every home chef will love. We chose this oven mainly because it is a space-saving appliance, which is good from a design standpoint (frees up space and sight lines) and a functional standpoint (it is more accessible for wheelchairs). It can also be controlled via smartphone or voice commands, which is useful for when you need to turn off the oven from a different part of the house. 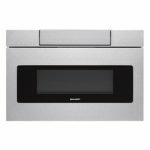 Lastly, the microwave also acts as a space-saving appliance that allows us to remove an unsightly microwave away from valuable countertop space and blend it into the cabinetry. This microwave is great because it offers you many different placement options; here, we placed it low to the ground so that it would be accessible for a wheelchair. It has a sleek, low-profile design that every interior designer loves! In the master bath, we used simple subway and field tile in the spirit of economy. I used blue penny tiles to define the space in a different way, running it across the floor and up the wall. We also turned the large subway tiles on end to give it a fresh look. 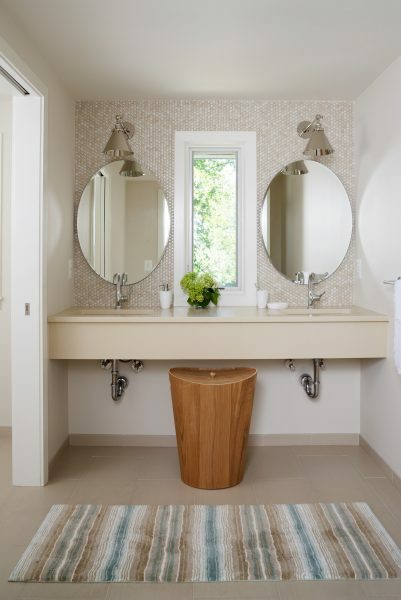 Maximizing space, the water closet is tucked into the middle of the house. 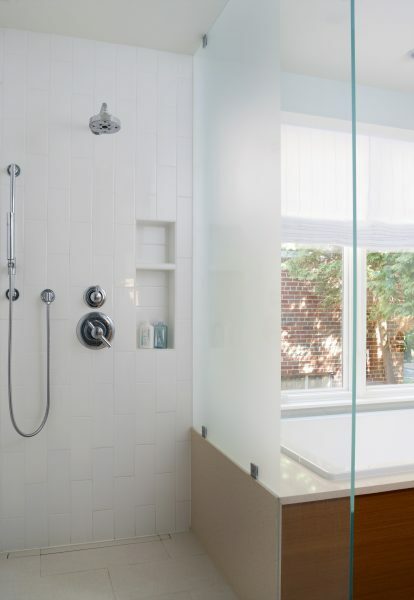 No ray of sunlight is lost, but using fronted glass between the shower and water closet. 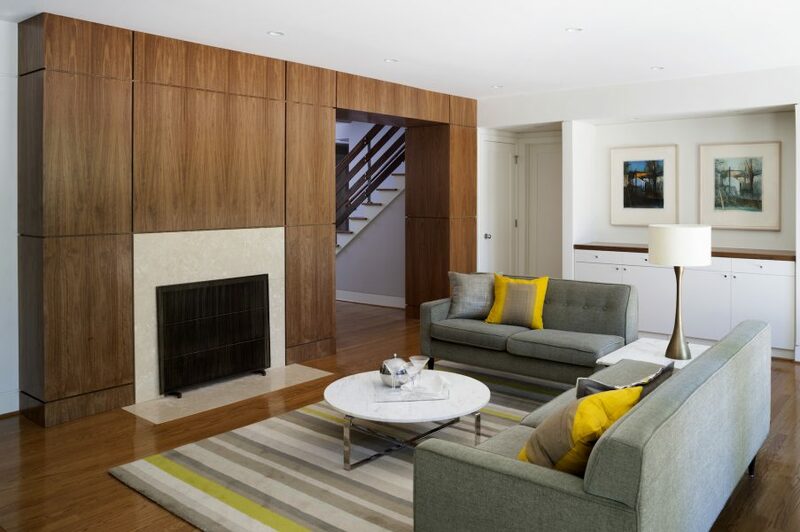 In another nod to the mid-century aesthetic, we used teak cabinets to bring in a warm element. 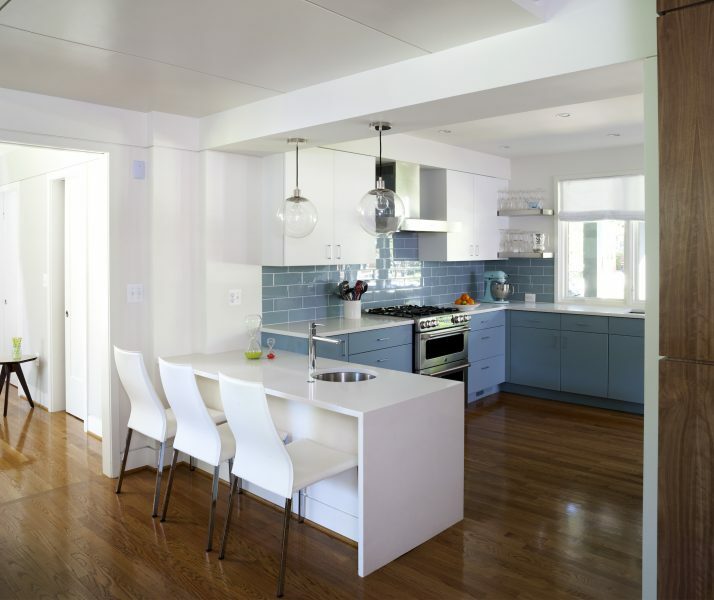 Open spaces, required for turning a wheelchair, make the kitchen and baths feel open and spacious. Continuous wood flooring throughout the house and kitchen unify the first and second floors. Our goal of making sure that the entire house was usable for every member of the family made it so that we were extremely thoughtful in the way we designed this house! 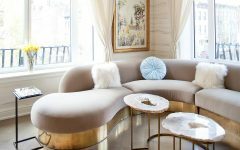 Christie Leu is an artist – turned interior designer who has triplets +2 AND a triplet mom design assistant! For 15 years, Christie made original, functional, fine crafts. 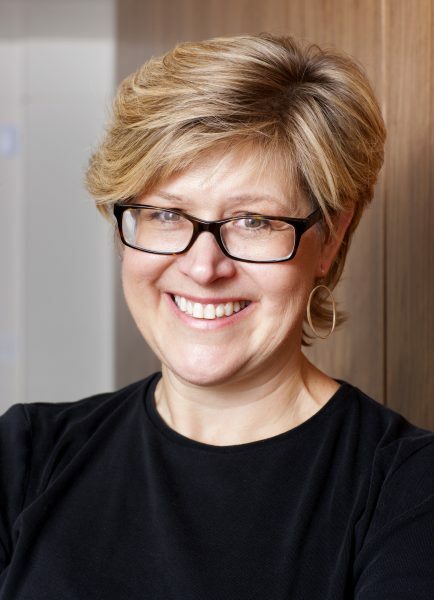 After completing several major renovations to a series of her own homes, she turned her expertise with color, composition and organization into an Associate Degree of Applied Sciences in Interior Design with a specialization in Kitchen & Bath Design from Montgomery College. She is now honored and excited to help others through the sometimes daunting and complicated process of home improvements. 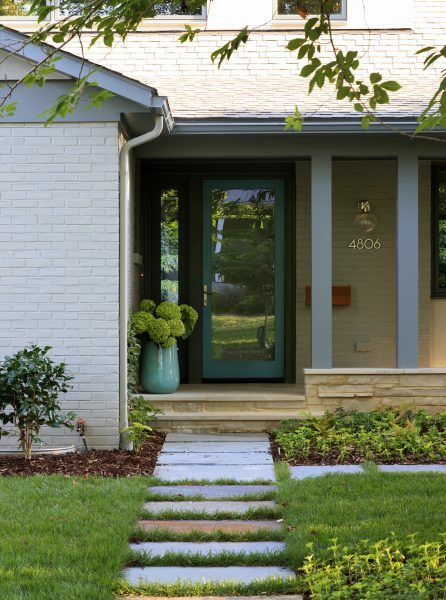 Christie grew up in Shaker Heights, Ohio where she developed an appreciation for wonderful architecture and design. 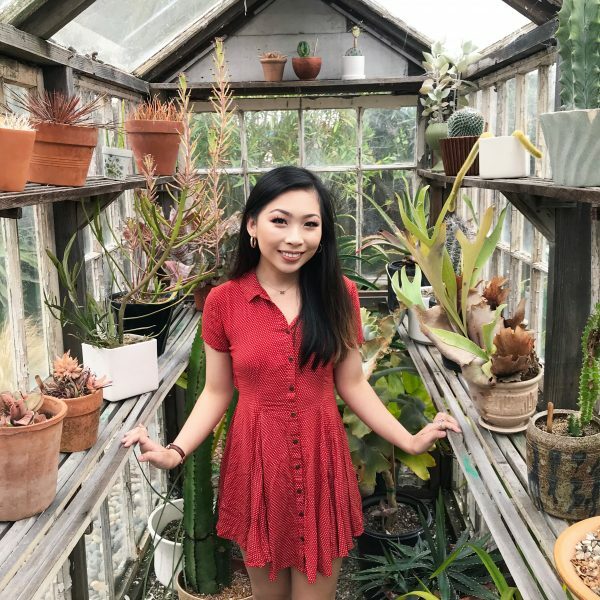 She graduated from Purdue University with majors in French and Psychology and a minor in Art. She currently lives in Chevy Chase with her husband David and their 5 children. For more information, visit christieleuinteriors.com. 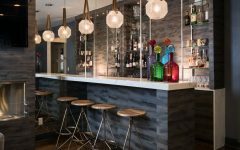 7 Home Bar Ideas You AND Your Guests will LOVE!